SRG International Manufacturer , Supplier, Exporter of Industrial tool Box , Tool Trolley to keep Tools Safely and Organised in proper manner. Size (Dimensions in Length X Breadth X Height) 20"X50"
Size Length X Width 30" x 5.5"
SRG International is manufacturer, Supplier, Wholeseller and distributor of Shoe Rack, Wall Monuted Shoe Rack, Metal Shoe Rack. Our valued patrons are offered a wide gamut of Shoe Rack that is designed for unmatched convenience and impeccable storage of footwear. These are can be availed in different designs and are made from the best grades of metal alloys for longer service life. We use cutting edge technologies to manufacture these racks by ensuring rigid compliance to preset industry norms of quality. These racks have been powder coated for long lasting finish and can be availed in different specifications at reasonable prices. Our valued patrons are offered a wide gamut of Shoe Rack that is designed for unmatched convenience and impeccable storage of footwear. These are can be availed in different designs and are made from the best grades of metal alloys for longer service life. We use cutting edge technologies to manufacture these racks by ensuring rigid compliance to preset industry norms of quality. These racks have been powder coated for long lasting finish and can be availed in different specifications at reasonable prices. 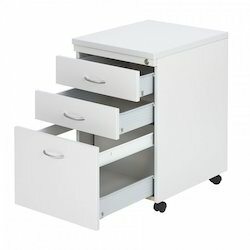 SRG International leading manufacturer, Supplier, Exporter, Trader of Mobile Pedestal also known as filling Cabinets used under tables for keeping small files and staionary, these are compact and are on wheels and comes in various colours and sizes. 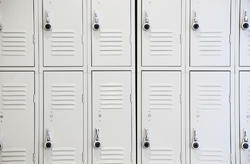 SRG International manufacturer of different types of Storage Lockers, Industrial Lockers, Storage Locker / School Locker, Locker for Colleges, Locker for Gym, Locker for Office used in School, Colleges, Gyms, Hospitals, Factories, Available in Different Colors, Sizes and Designs, these lockers suits everyone need.We manufacture different types of Metal Lockers with High Quality & Security, We also Undertake Tailor Made sizes & designs for custom applications and usage.